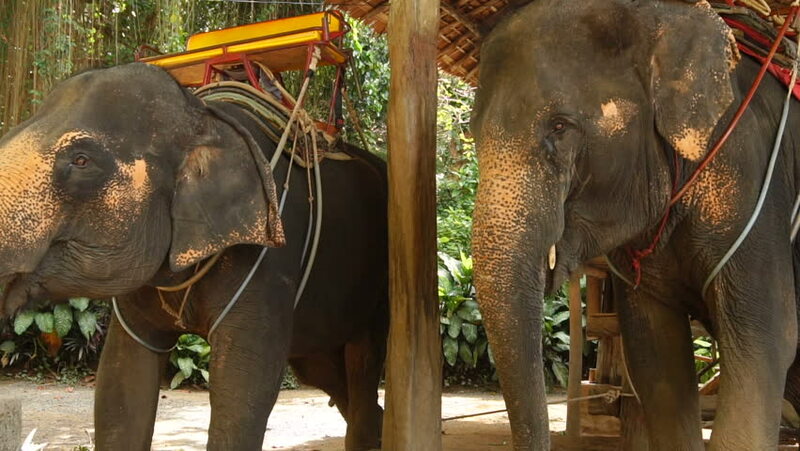 hd00:20Slow motion two riding elephants in wooden pavilion, animals relaxing in shadow. Concept of entertainment, travelling and tourism. Beautiful view of exotic plants and palm trees under scoring sun. 4k00:18Elephants in the zoo with a cart on the back are eating. Pasture for elephants that are chained to pillar. Thailand. Asia. 4k00:20A moose stands facing right and then lies down. It looks toward the camera. 4k00:07An Executive marketing, explaining scheme to real farmer in India using modern technology like laptop.